I closed 'The Shape of Water' vs. 'Beauty and the Beast' at the Saturn Awards with a program note followed by a question: "I plan on posting an entry about the horror nominees tomorrow. "Get Out" vs. "IT," anyone?" Time to follow through with a discussion of a showdown between last year's most honored horror movie and last year's highest grossing horror movie. Like all the other categories so far, at least one nominee is an establishment favorite. "Get Out" earned four Oscar nominations and took home one of them for Original Screenplay, an award it also won at the WGA Awards. It also won the First-Time Feature Award at the DGA Awards and Daniel Kaluuya won Rising Starat the BAFTA Awards. That's quite impressive. Here at the Saturn Awards, it's nominated for Best Horror Film, Best Director and Best Writing for Jordan Peele, Best Actor for Daniel Kaluuya, and Best Editing. Competing against "Get Out" are the highest grossing horror film of all time, "It," and a bunch of run of the mill horror movies. Here is the field from File 770. As I wrote yesterday, "I explicitly take the establishment position unless persuaded otherwise by the performance." Therefore, I'm voting for "Get Out." On the other hand, as I've written repeatedly, "the Saturn Awards are about entertainment not art, they don't care for subtle, and they love to stick it to the experts." Voting for "It" would do all three, so I think "It" has a good chance of upsetting "Get Out." However, at the two awards show where the two went head-to-head, "Get Out" beat "It" both times. At the the Fright Meter Awards, "Get Out" won Best Horror Movie, Best Director, and Best Screenplay. At the Critics' Choice Movie Awards, it won Best Sci-Fi/Horror Movie. I find those facts reassuring. 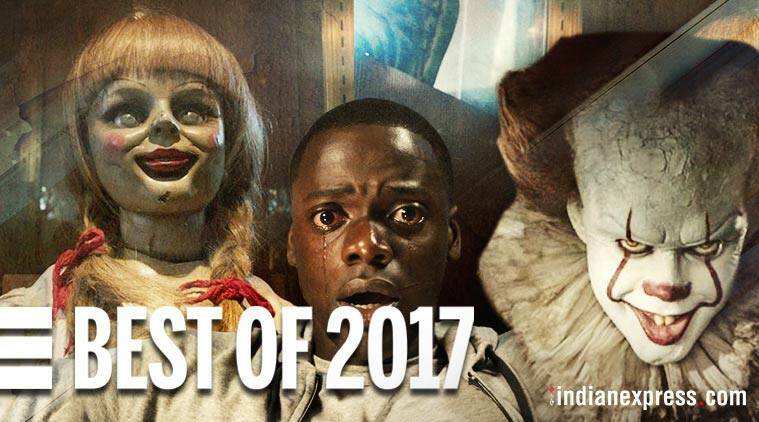 As for the rest of the field, if 2017 had been a normal year for horror films, like 2016, when I had trouble deciding between "Don't Breathe" and "Train to Busan," "Annabelle: Creation" would likely win. It was not a normal year, pun intended, so they don't stand a chance. Before I move on to the rest of the nominations for the horror film, I am again pointing out a snub, this time of "The Mummy." Like "Pirates of the Caribbean: Dead Men Tell No Tales," it was a multi-Razzie nominee, earning nods for Worst Picture, Worst Supporting Actor for Russell Crowe, Worst Supporting Actress for Sofia Boutella, Worst Remake, Rip-Off or Sequel, Worst Director for Alex Kurtzman, and Worst Screenplay for more people than I care to name. It also earned Tom Cruise a "win" for Worst Actor. On the other hand, "Mother!" was also a Razzie nominee for Worst Director for Darren Aronofsky, Worst Actress for Jennifer Lawrence, and Worst Supporting Actor for Javier Bardem, who was cross nominated for his role in "Pirates of the Caribbean: Dead Men Tell No Tales." That didn't stop it from being nominated here. I think it's problem was that it was an attempt at Oscar bait ("Black Swan," anyone?) that failed spectacularly. The result was that it attracted the attention of the Razzie voters in the way I wrote about Eddie Redmayne's nomination and eventual "win" as Worst Supporting Actor for his role in "Jupiter, Ascending." In addition to the covert misogyny I suspect among the voters, there is overt Schadenfreude; the voters seem to delight in finding bad performances by big name performers and creators and using them to bring the highest low. I don't have a problem with that, so I find it to be a useful role for the Razzies. I think both misogyny and Schadenfreude were at play in the nominations for "Mother!" Therefore, I was glad when none of the nominees "won." I'm also glad that it was the one movie with Razzie nominations that earned a nomination here. Enough of my ranting. Follow over the jump for my thoughts about the rest of the nominations for "Get Out" and "It." Here are the nominees and my thoughts about them, which I've recycled from 'The Last Jedi' and 'Star Wars Rebels' at the Saturn Awards for Star Wars Day and 'Black Panther' vs. 'Wonder Woman' at the Saturn Awards for a late Free Comic Book Day. Only if I did not mention "Get Out" or "It" will I add a comment; otherwise, I'll just quote and move on. Only Daniel Kaluuya has been nominated for an Oscar for this role. In addition, Ryan Gosling has been nominated for two Oscars and won a Golden Globe over the years, while Hugh Jackman was nominated for an Oscar once. Also, Andy Serkis was nominated for a Golden Globe. If the entertainment professionals were voting, one of them, most likely Kaluuya, would won. The professionals are not; the fans are and they'll likely vote for either Mark Hamill or Chadwick Boseman. The establishment choice would be Patrick Stewart, who earned a nomination for this role in this category at the 2018 Critics' Choice Movie Awards, so I'm inclined to vote for him. That doesn't mean he'll win. I suspect the sentimental favorite will be Harrison Ford, who has three Saturn Awards already, most recently for his swan song as Han Solo in "The Force Awakens." As for Michael B. Jordan as Erik Killmonger, he might get a nomination, but not a win, at next year's Oscars, so he's a worthy nominee. I might have more to say about the category when I write about the horror category, which I expect will be a showdown between "Get Out" and "It." Jordan as Killmonger might be the most sympathetic antagonist among the nominees, but Bill Skarsgard as Pennywise the Demon Clown is probably the most compelling villain of the lot. People who want to vote for a bad guy, probably the same people who'd vote for Jeffrey Dean Morgan as Negan on "The Walking Dead," might vote for him. This field contains the defending winner, Tom Holland, who won for playing Spider-Man in "Captain America: Civil War," a role that also won him the EE Rising Star Award at the BAFTAs. He's the same character this time around, too, in a movie that stars him, so I think he's the favorite. He has impressive competition for the award. Like Patrick Stewart, Dafne Keen has nominations for this role from the Critics' Choice Awards and 2017 Teen Choice Awards along with a win at the MTV Awards. Sophia Lillis was the standout of an excellent ensemble of young actors in "It." Both Millicent Simmons and Jacob Tremblay have nomination for these same roles from the Critics' Choice Awards and Tremblay is a previous nominee at the Saturn Awards, while I expect Simmons will have one next year for "A Quiet Place." Letitia Wright might be the beneficiary of a sweep for "Black Panther," which would be bad news for Zendaya, whose wins have come from youth awards and more prestigious nominations from BET and the NAACP (Image Awards). The vote that would go to her would probably go to Wright instead. "Wonder Woman" isn't the only casuality of the Academy allowing "Black Panther" to compete in these awards. It also doesn't help that the “Spider-Man: Homecoming” vote will likely go to Holland. That written, she's a worthy nominee in a good field. As for my vote, it will probably go to Keen. Guillermo del Toro won the Oscar in this category while Jordan Peele was nominated, so I would think they're the favorites, even with the fans voting. Just the same, this is a talented field and any one of them can win with the right fanbase mobilization. I'm voting for Del Toro, but my pick for spoiler would be Patty Jenkins or Ryan Coogler. The Oscar winner is Jordan Peele for "Get Out" and the nominees are Scott Frank, James Mangold, and Michael Green for “Logan” and Guillermo del Toro and Vanessa Taylor for “The Shape of Water.” I'll wait until I see "Logan" and "The Shape of Water" to determine if I think either are better than "Get Out," which I'd vote for now. As for who wins, I hope it's one of the Oscar nominees, but with this electorate, one can never tell. All of the five films nominated for Film Editing at the Academy Awards were nominated at the Saturn Awards in their genre categories, but only one, “The Shape of Water,” was nominated in this category. Both "Baby Driver" and "Dunkirk" were nominated in the Action category and were snubbed in favor of "The Fate of the Furious." Really? "Three Billboards outside Ebbing, Missouri" was nominated in the Thriller category and "I, Tonya" was nominated in the Independent Film category. I wouldn't have minded picking among them myself with the Satellite Award winner, "War for the Planet of the Apes," or Gold Derby nominee, "Get Out," as the sixth choice. If I had, I'd have voted for "Baby Driver" or "I, Tonya." That's not happening. As it is, I'm voting for either "The Shape of Water" or "Get Out." I don't know who might win other than those two. That's it for the horror movies. I plan on posting an entry about the Action, Thriller, Independent, and International Film nominees tomorrow. Stay tuned. I'm closing with an updated version of the pitch I make for my readers to become members: "Click here to apply for an affiliate membership. At $25, one can vote for the best films and television shows. At $40, one can vote for all categories. I've already paid my $40. I hope my readers do, too."